Can you imagine running a nightclub with the world's largest and clearest sound system without any complaints about noise pollution? Can you imagine what it would feel like to dance under thousands of speakers? Well now you can! 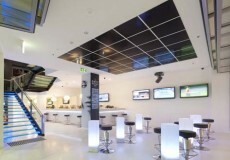 Jbn Sound Ceiling can be found throughout the world from Italy, France, Spain, UK, Sweden, Turkey, New Zealand to Australia. Whether it be outdoor or indoor venues, Jbn's exclusive Sound Ceiling continues its rapid growth throughout the world offering the hospitality and entertainment industries practical and sustainable environmental sound solutions. With 20 years experience and being on our 5th Generation of directional speaker system, we have decided to provide a fact finder for you of a few common questions we are asked. Enjoy! How long has sound ceiling been around for? The Sound Ceiling has been around for 20 years. In the 20 years sound ceilings have been in operation, we have been able to develop the speakers and we are now on our 5th generation of speaker. With this laboratory testing we have been able to provide a speaker which is perfect for controlling noise, each generation perfecting the previous to give you a great sounding speaker system. How does the sound ceiling work? The sound ceiling works through the accumulation of specially designed speaker cones which all act in tandem to create a bass. The speaker systems can be 25 + speaker tiles (600mm x 600mm); each tile has 9 speaker cones. 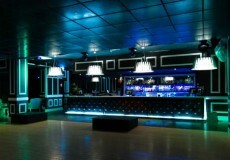 Through being above the dance floor the sound is directed where you want it. A directional speaker is similar to a shower; through dispersing sound through many smaller channels it provides greater control of where you receive the sound. Why is the speaker not boxed in like conventional speakers? The Sound Ceiling is not a boxed in speaker system like the conventional speaker for a fundamental reasons: the conventional speaker is required to be boxed to contain sound greater as it produces the low frequencies that do not operate in the same manner with our speaker system. What colors do the sound ceiling tiles come in? We produce the sound ceiling tiles in the White or Black, you are able to cover the tiles and we have previously completed jobs where the company logo covers the tiles. 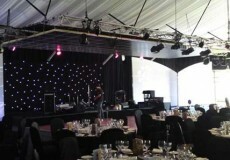 Jbn Sound Ceiling the envy of Broadbeach. 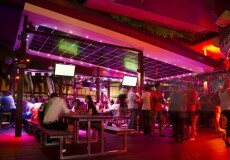 The Gold Coast's latest hot destination is The Envy Hotel, a uniquely different venue in the heart of Broadbeach.